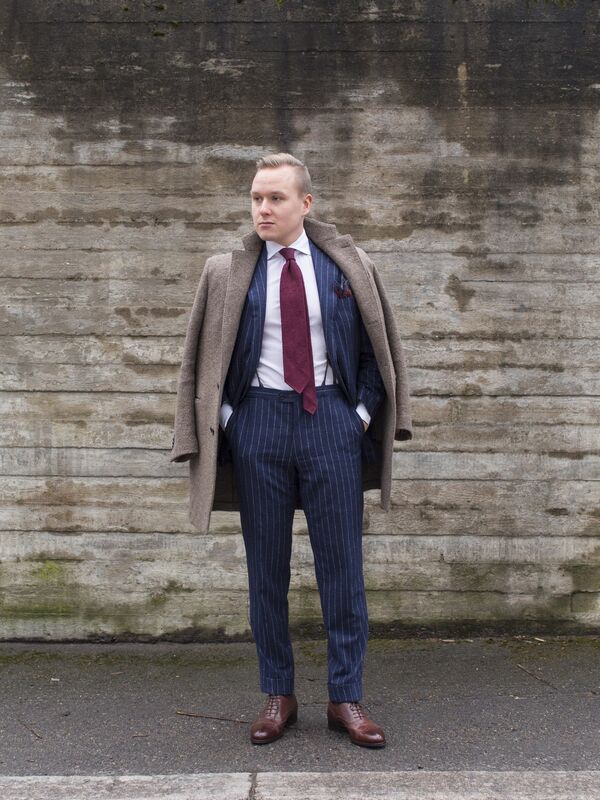 One of the best color combinations must be a navy suit with burgundy accessories, certainly it's one of my favorites. These two colors are also a very good option to any office, especially during fall and winter time. Both navy/dark blue and burgundy simply radiate class, and you can wear them to any kind of business occasion. Brown shoes and a little bit more texture in your accessories and you're all set for a more relaxed yet elegant office look. Then again, if it's formal you need, just grab your navy suit, a fine burgundy grenadine tie and a pair of black Adelaides and you're all set to meet any CEO. In summary, this is one of those color combinations you can utilize anywhere, any time. The worn items include a wool coat from Lardini, beautiful made-to-order suit from Vaatturiliike Sauma (Their web store is now -30% by the way), shantung silk tie from Exquisite Trimmings, wool pocket square from Drake's London, braces from Viola Milano, wool socks from Pantherella and Alfred Sargent Hunts from Robinson's. The soft shoulder. 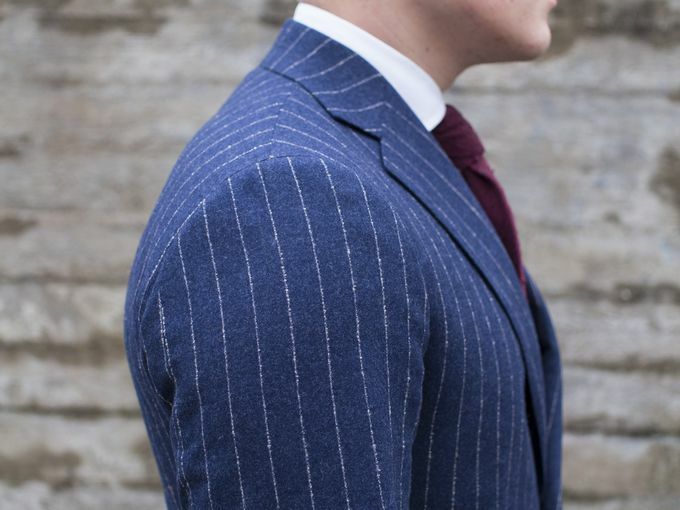 Fully-canvassed and no padding - the joys of a top quality made-to-order suit. Drake's wool silk pocket square from last year's collection. 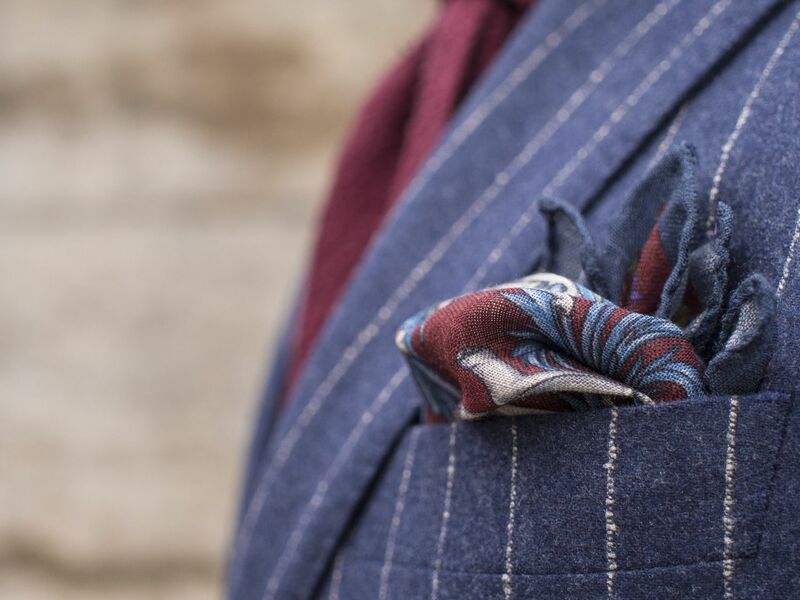 The elephant print is one of the best pocket square designs ever in my opinion. 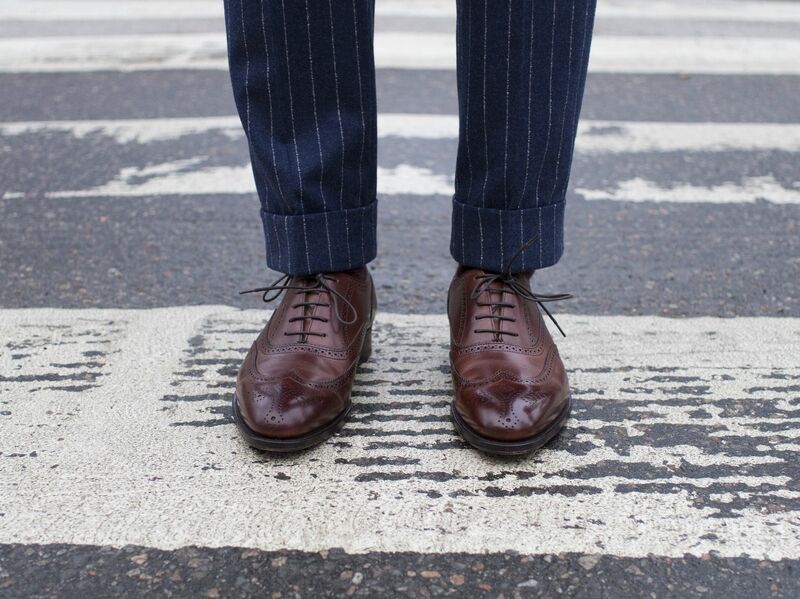 The ideal use of dark brown full brogue Oxfords in my opinion. Also, I have a feeling this pair will create just fantastic patina over time.